Putting North Dakota First is the mission and drive behind KX News. Community service and outreach projects are the backbone of our local community. As part of the commitment, KX News and ABC Seamless of Bismarck will replace the roof of an active or retired military member. 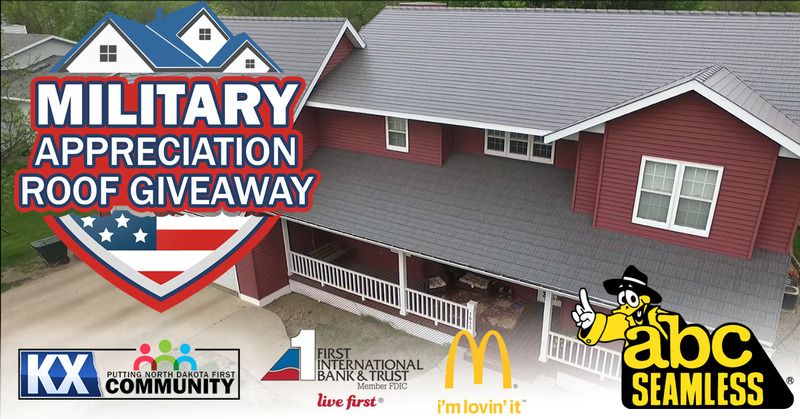 Congratulations to John LaCount Sr. of Mercer, North Dakota, the 2019 winner of the Military Appreciation Roof Giveaway. Putting North Dakota First is proudly sponsored by 1st International Bank & Trust and McDonalds.